By AsiaToday reporter Kim Eun-young – As smart home market is growing rapidly in Asia, related products and investments are also being made actively. Telecom Asia, a press medium that specializes in Asian telecom industry, recently reported that Asia’s smart home market will grow to US$115 billion by 2030, accounting for 30% of the global share, citing a report by global management consulting firm AT Kearney. 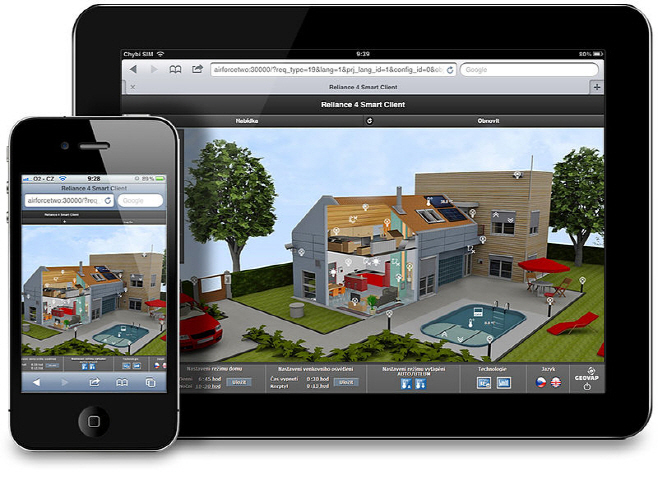 Smart home is a system that allows you to control and monitor different devices in the home including the heating, lighting, security, and entertainment, automatically and sometimes remotely via the Internet. The report, “The Battle for the Smart Home: Open to All,” forecasted that the growth will be driven mainly by China and Japan, as well as highly-connected countries such as Singapore, South Korea and Taiwan. Japan is leading the smart home market. “Japan, which is already among the top five global markets in terms of smart home penetration, will see continued growth driven by an ageing population enticing households to install health and wellness solutions,” said Nikolai Dobberstein, partner and Asia-Pacific head of communications for media and technology at AT Kearney. “The opportunity in China is great with a phenomenal number of households seeing increased incomes and a strong local manufacturing and technology ecosystem,” he added. Singapore, South Korea, and Taiwan are all expected to have a high penetration of smart homes due to the large proportion of high-income households and the data connectivity in these countries. According to the report, there are several major changes in Asia that are accelerating the expansion of the Asian smart home market. The first is the advancements in technology and smartphone functions along with the addition of big data and artificial intelligence (AI) are rapidly improving the convenience of smartphone application. Second is the expanding interoperability among products from different manufactures. Advancement of application programming interfaces (APIs) and efforts to standardize communication of applications are increasing rapidly. In addition, availability of related product has expanded and prices have become cheaper. At home, automated products are already being used in almost all respects and nearly 80% of them are available in the market in “smart” form. Also, cost reduction of key technology components are making smart home applications more cheaper. Smart home related products are also being released. e27, a Singapore-based tech media platform, reported recently that smart speakers Amazon Echo and Google Home, all backed by AI, are competing fiercely in the smart home market, and that Asian tech companies are also entering this market. In China, smart robot startup A.I Nemo teamed up with internet search engine giant Baidu to develop a voice-controlled home robot. Dubbed “Little Fish,” it can translate languages, check stock prices, search for locations, read the news, make phone calls, book movie tickets, and even pay for mobile phones. Unlike Amazon Echo and Google Home, Little Fish is equipped with an 8 inch IPS video screen and a webcam, allowing video streaming and video chats. According to the Jan. 8th report of Mobile&Apps, Japanese company Vinclu Inc developed an artificial assistant named “Azuma Hikari”, which will be released next year. 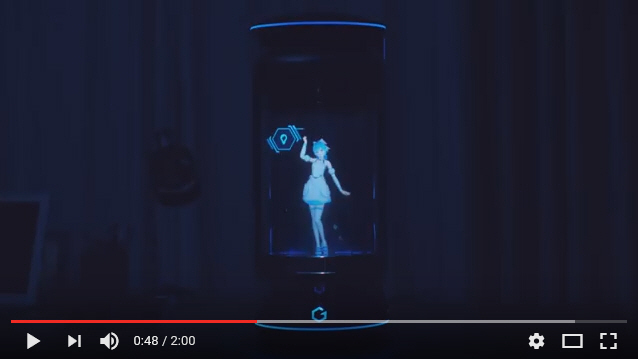 Hikari, which means “light”, is the girl who lives inside a cylindrical speaker. On the outside the speaker are microphones, cameras, and sensors, so she can detect temperature and motion, and control smart devices in the house. She can recognize your face and your voice, wake you up in the morning, remind you of important schedule, and even welcome you back when you return home. Real estate developers are also eyeing the market. The Visionaire, Singapore’s first smart home, was released last year, reported Channel News Asia. The condominium comprised of some 600 units provides smart home package that offers up to 10 latest smart devices from Samsung such as washing machines and air-conditioners. Investment is also expected to boost. Business media DealStreatAsia chose Southeast Asia as the rising region in investment as its communications network is expanding gradually. Malaysian venture capital firm TinkBig Venture plans to allocate 10% of its $30 million fund to smart home focused companies by the end of this year.